Sportswear giant Adidas has scored an own goal after unveiling special football shirts for next summer’s World Cup. 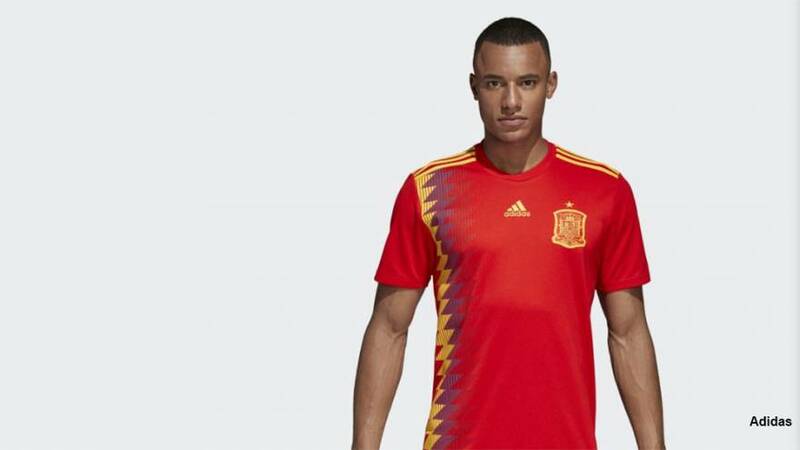 Its new designs, launched ahead of the football extravaganza in Russia, have stirred emotions in Spain. It comes at a particularly sensitive time: the country is in the midst of a constitutional crisis after Catalonia’s bid to split from Madrid. The shirt for Spain has a strip of yellow and blue that looks like purple down its side, which combined with the predominant red, are the colours of the second Spanish republic. Twitter users were quick to point out the similarities with the republican flag in a joking manner. But it was only after the leader of the Podemos Party Pablo Iglesias said “it had been a long time since the Spanish football team hadn’t worn such a pretty jersey” and the leader of Izquierda Unida Alberto Garzón commented how much he liked the jersey, that the political storm started. Started in 1931, the Second Spanish Republic lasted until the outbreak of the Civil War in 1936. Nowadays, the republican flag is associated with the political left. Spanish journalist Eduardo Inda said that he found the jersey “disgusting” and that he thought Adidas should take the jersey off from the market. Adidas told Euronews in a statement there was no political intent in its shirt designs, which, the company said, were approved more than a year ago. The firm added it had no plans to withdraw any of the shirts. But some people still find the new jersey “scandalous”. And others demand a boycott of Adidas over the new design. Adidas also released the jerseys of other countries they represent like Colombia, Argentina, Germany, Japan, Sweden, Belgium, and Russia, which were greeted with a lukewarm reaction.